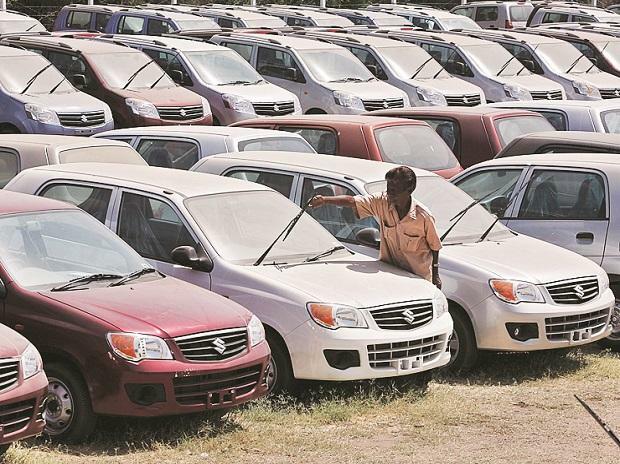 Maruti Suzuki, the country’s leading carmaker, is expected to report a second consecutive dip in quarterly profit for the October-December period of FY19 as margins remained under pressure owing to higher discounts and impact of firm commodity prices. The company, analysts anticipate, could report a decline of about 5 per cent in profit for the third quarter. It is likely to announce the Q3 results in the last week of the month. The Suzuki-owned firm, which sells every second car in the domestic market, had seen its profit grow for nine consecutive quarters until June 2019. It, however, posted a 10 per cent decline in profit for the quarter ended September 2019. Firm commodity prices, a slowdown in sales, and a double-digit increase in discounts to push sales pulled down the profit to Rs 2,240 crore in Q2 against Rs 2,484 crore in corresponding quarter of previous year. Motilal Oswal estimates Maruti Suzuki to earn a profit of Rs 1,692 crore in Q3, down 6 per cent from the comparable quarter last year. However, when compared QoQ, profit decline could be a significant 19 per cent. The firm sold 428,643 vehicles in Q3, marginally lower than 431,112 units sold in Q3 of FY18. The decline in units sold compared to Q2 is over 11 per cent but the projected 19 per cent drop in profit shows that margins may have further weakened. Motilal Oswal expects margins to contract by 260bps to 13.1 per cent in Q3 against Q3 last year. The company had a stronger margin of 15.3 per cent in Q2, FY19. In order to push sales during the second quarter, the company had to offer an average discount of Rs 18,700 a vehicle, 23 per cent higher compared to Q2 of FY18. While the actual average discount offered in Q3 is not known, it is expected to be on the higher side compared to both Q2 and corresponding quarter of previous year. Analysts have also revised the carmaker’s revenue forecast for the current as well as the next financial year. The country’s most valuable automaker has posted flat to moderate growth in volume for six consecutive months of the year, beginning July. The company’s volume has grown by 6.5 per cent in the first eight months of the year to 1.40 million units. Last month, the company revised its volume growth forecast to a single-digit rate of 8 per cent after sluggish trend for months. It had seen a double-digit growth for four consecutive years until FY18, with the launch of blockbuster models such as the Baleno, Brezza, and the new Dzire. In FY18, the company’s volume had expanded by 13.4 per cent to 1.77 million units. R S Kalsi, senior executive director (sales and marketing) at Maruti Suzuki, last month said the company was expecting growth of 5-6 per cent in the January-March quarter of FY19 and that might help the firm close the year with a growth rate of 8 per cent. “We will strive for double-digit growth but, given the external environment, it looks difficult,” he said. The company attributed this slowing of demand and revision of forecast to a combination of factors, including high interest rates, increased insurance cost, and firm fuel prices, especially in the third quarter.